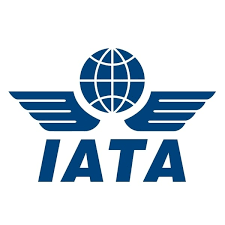 The International Air Transport Association (IATA) announced global passenger traffic data for 2018 which shows that demand (measured in total revenue passenger kilometers or RPKs) climbed 6.5% compared to full-year 2017. “2018 was another year of strong passenger demand, as aviation continued to support the global economy. We expect similar, if somewhat moderating performance in 2019,” Alexandre de Juniac, IATA’s Director General and CEO said. “Nevertheless, slowing growth in the second half of 2018, coupled with concerns over issues including Brexit and US-China trade tensions, are creating some uncertainty to this positive outlook,” he added. December RPKs rose 5.3% against the same month in 2017, the slowest year-over-year pace since January 2018 and a continuation of the trend that saw demand growth decelerate to an annualized rate of 5% over the course of the 2018 second half compared to a 9% pace in the first half, IATA announced.